Welcome to Kidoodletees! We feature fun, humorous, and unique shirts and gifts for all ages. Please browse our selection using the categories below. Be sure to sign up for our newsletter using the form on the left-side menu of this page to receive occasional notifications of contests, new products, coupons, and special offers only available to newsletter subscribers! 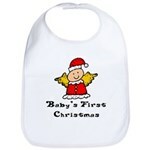 Fun & Humorous t-shirts, bibs, onesies, and gifts for babies, toddlers, and kids of all ages. 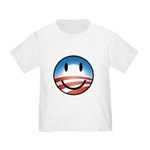 Special t-shirts and gifts for Birthday Boys & Girls, Holidays, Baby's First.., Weddings, and more! Unique designs specifically for soldiers and their families in all branches of the US armed services. Unique sports t-shirts & gifts for kids, moms, and dads. Click to view designs available! Fire & Rescue, Artists, Emergency Medical Services, Aviation, Real Estate, Optometry, and more! Here you will find gifts for boys personalized with their name! Here you will find gifts for girls personalized with their name! Gifts for Anyone for Any Occasion. Artwork, Coffee Mugs, Keepsake Gift Boxes, and more! Personalized and Custom Designs requested by our customers. My Dad's Tattoos are Better than Your Dad's!